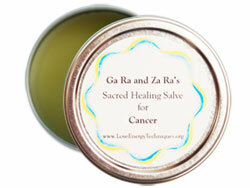 Sacred Healing Salves come in one size 2oz/59 ml. Unconditional Love Energies are infused into Sacred Healing Salves to enable and empower these salves to heal and/or alleviate pain from the many discomforts and diseases encountered by people living in today’s hectic digital world. We offer Sacred Healing Salves for Bone and Muscle, Breathing, Cancer and Skin, as well as for Stress, Mental Clarity, and Enlightened Equanimity..
We donate 10% of the sales price from each tin of Sacred Healing Salves sold to help feed, educate and create a Love Energized environment for over a thousand destitute children in Africa living with 40,000 other people in a violent crime ridden “informal settlement” of 7,000 shacks made from corrugated tin salvaged from trash dumps.